To get a better understanding of how Canada's online marijuana market is developing, we take a closer look at some of Canada’s most promising medical and recreational cannabis e-commerce platforms. Cannabis e-commerce platforms, both medical and recreational, are becoming increasingly important as Canada’s legal marijuana market matures. However, given that only two of Canada’s ten provinces—Manitoba and Saskatchewan—currently allow private marijuana retailers to sell cannabis online, online medical marijuana stores have continued to reign supreme in Canada’s online cannabis market. To get a better understanding of how Canada’s online marijuana market is developing, we take a closer look at some of Canada’s most promising medical and recreational cannabis e-commerce platforms. Westleaf Inc. (TSX-V: WL) (OTCQB: WSLFF), a vertically integrated Canadian cannabis company focused on innovative retail experiences as well as cultivation, production and extraction of cannabis products, recently launched its Prairie Records cannabis e-commerce platform for online sales Saskatchewan. “The launch of online retail is an important next step in rolling out the Prairie Records brand across Saskatchewan and the rest of Western Canada over the coming months,” said Scott Hurd, President and CEO of Westleaf. Prairie Records is Westleaf’s unique cannabis retail concept, which seeks to redefine the cannabis purchasing experience through tactile in-store features and product offerings that celebrate the relationship between music and cannabis. 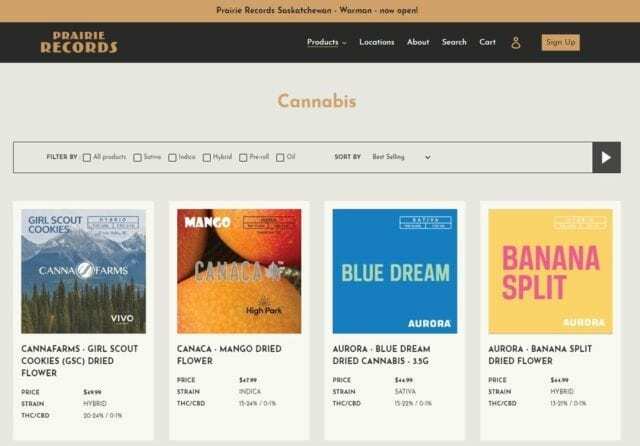 Customers across the province of Saskatchewan can now order cannabis products and accessories through Prairie Records’ e-commerce site. Momentum behind Westleaf’s Prairie Records retail expansion certainly seems to be building—the company recently announced that two new Prairie Records stores are set to open by April 20, 2019 in Saskatoon. “Saskatoon and all of Saskatchewan, is proving to be one of the strongest cannabis retail markets in Canada as the sector continues to evolve and mature,” says Scott Hurd, President and CEO of Westleaf. With additional stores planned for British Columbia, Alberta, Saskatchewan, and potentially Ontario, Westleaf is currently aiming to rollout up to 50 Prairie Records stores across Canada. Fire & Flower Holdings Corp. (TSXV: FAF), an independent licensed cannabis retailer, announced last month that it had launched its e-commerce platform to sell adult-use recreational cannabis to customers in the province of Saskatchewan and accessory products to customers across Canada. In tandem with its foray into online recreational cannabis sales, Fire & Flower recently announced the opening of its first Fire & Flower branded store in Ontario. Fire & Flower’s Ontario location marks the company’s tenth licensed cannabis retail store in Canada. Canopy Growth Corp. (TSX: WEED) (NYSE: CGC), the world’s largest cannabis company, serves 83,000+ medical marijuana patients across Canada through its Spectrum Cannabis e-commerce platform. Canopy Growth also appears to have plans for a Tweed online store, which may foreshadow the company’s entry into the online recreational cannabis market. In recent news, Canopy Growth continues to bolster its product offerings—online and otherwise—through a partnership with Houseplant, Seth Rogen and Evan Goldberg’s new cannabis brand. 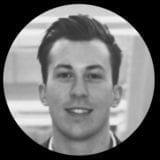 Aphria Inc. (TSX: APHA) (NYSE: APHA), a leading global cannabis company driven by an unrelenting commitment to people, product quality and innovation, has one of the most established medical cannabis e-commerce platforms in Canada. According to the company’s corporate presentation dated Q1 2019, Aphria has sold over 8,700 kg of marijuana since 2014 through its online medical cannabis platform. Moreover, Aphria boasts an award-winning patient care team and diverse online product portfolio, including 30+ dried flower products and 7 activated cannabis oil products. In order to ensure that it can keep up with the growing demand of Canada’s medical and recreational cannabis consumers, Aphria continues to expand its production capabilities. The company recently announced that “Health Canada had granted the Company its license amendment, permitting Aphria to commence production in an additional 800,000 square feet of facilities at its Aphria One location. “This is a major milestone for Aphria on its path to becoming a leading global cannabis producer, as well as a positive development greatly anticipated by the Canadian cannabis industry,” said Irwin D. Simon, Interim CEO of Aphria. Last month, VIVO Cannabis Inc. (TSX-V: VIVO, OTCQX: VVCIF), a licensed cannabis producer offering premium medical and adult-use products and services, announced that it was launching an online medical cannabis store through its wholly-owned subsidiary, Canna Farms Limited. “Canna Farms’ integrated online store will cater to discerning medical cannabis consumers,” said Daniel Laflamme, President of Canna Farms. In addition to the launch of Canna Farms’ online medical cannabis store, VIVO also announced that Canna Farms had received approval from Health Canada to double its cultivation capacity in British Columbia and Ontario. Considering that Canna Farms’ e-commerce site carries “more than 40 different cannabis strains and 100 different SKUs,” this increased production capacity will likely come in handy as Canna Farms’ online product offerings continue to increase. With a number of Canada’s provinces restricting private cannabis retailers from selling marijuana online, online recreational cannabis sales currently have limited potential in Canada. These strict regulations, when combined with the small addressable markets of Manitoba and Saskatchewan, reinforce the necessity of a strong cannabis retail brand. Still, the market for online recreational cannabis sales in Canada could become vital—much like the online medical cannabis market today—should other Canadian provinces embrace recreational cannabis e-commerce. Disclosure: Directors of Mugglehead own shares of Westleaf Inc. and other marijuana stocks not mentioned in this release and we have been compensated by Westleaf for news coverage. I am nervous. I have made too much money in too short of x. Nothing grows to the sun. This is where greed comes in. 83% sales growth in Q1. Is this a fluke or a trend? The one thing that gives me comfort is the fact Cannabis works. I use it for pain. Every night I take it in a liquid form one hour before bed. I gently fall asleep. The next morning I am rested. No hangover. I am one of millions with pain. If it works for me I guess it works for them. This is why I own Cannabis stocks. The product works. I hope this is not a dot.com thing. I took that ride. I hope never again.